Shotaro Tuminaga was born in Kobe City, Hyogo Prefecture, Japan on July 28, 1927. He received the B.E. degree in Electrical Engineering in 1950 and the Ph.D. degree in Engineering in 1980, from the University of Tokyo,Japan. In 1950, he joined the Mitsubishi Electric Corporation, where he was assigned to Itami Works, Amagasaki City, Japan. Here, until 1983, he successively held the positions of Manager, Switchgear Department, Development Department and Deputy General Manager, Itami Works. In 1983, he was appointed Manager of the Engineering, Energy and Industrial Systems Group, Tokyo Head Office of the same company and concurrently, General Manager of Mitsubishi Fusion Center, a joint organization of Mitsubishi Electric Corporation, Mitsubishi Heavy Industries Ltd. and Mitsubishi Atomic Power Ind. Inc., in charge of Nuclear Fusion Engineering. During the period betwen 1979 and 1986, he contributed to CIGRE (Conference International des Grands Reseaux Electriques a Haute Tension), as a member of Study Committee No. 13 (Switching Equipment), representing the Japanese National Committee of CIGRE. From 1986 to 1988, he served as a director of the Japan Society of Plasma Science and Nuclear Fusion Research. In 1988, he joined Ryokoh Computer Systems Company, one of the companies of the Mitsubishi Electric Group. He was appointed President of the company in 1989. Among Dr. Tominaga's achievements at Mitsubishi was the development of Gas Insulated Switchgears (GIS). It was found that remarkable size reduction and much higher reliability of switchgear could be obtained by putting switchgears into compressed SF6 gas, using it as an electrical insulating medium as well as an arc quenching medium. Dr. Tominaga foresaw the promising future of GIS and led the successful development of the program. The first commercial 500 kV Hybrid GIS was installed in 1973 and the first 500 kV Full GIS, in 1976. Another significant achievement was the development of zinc oxide surge arresters for power systems. Dr. Tominaga and his development group succeeded in baking reliable zinc oxide non-linear resistor disks suitable for absorbing surges in power network. Using these disks, the first metal enclosure type zinc oxide surge arresters for GIS was installed in 1978. Due to the excellent protective performance, simple and reduced size construction of zinc oxide arresters, they have become the main type of surge arresters instead of the conventional Silicon Carbide Type. Dr. Tominaga was a member of the Institute of Electrical Engineers of Japan and the Japan Society of Plasma Science and Nuclear Fusion Research. He was elected Fellow of the IEEE on January 1, 1985. 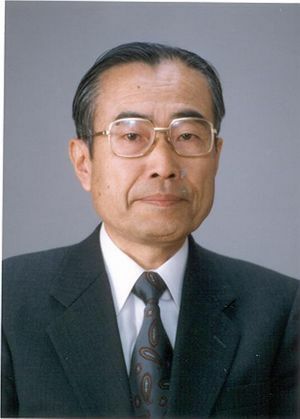 Tominaga received the 1991 IEEE Lamme Medal. He has been awarded three U.S. and two Canadian patents, and ten Japanese patents, of which two were awarded jointly. He has published extensively in the field.